Progressive degree programs enable USC undergraduate students to begin work on master’s degrees while continuing to complete requirements for their bachelor’s degrees. Applicants must complete between 64 and 96 units of undergraduate coursework. A master’s degree may be awarded simultaneously with, but not before, a bachelor’s degree is awarded. Progressive degree students may enroll in both graduate and undergraduate courses, regardless of class level classification. Progressive degree students are classified as undergraduate students until their undergraduate degree is conferred or they complete 144 units, whichever comes first. While classified as undergraduates, students are assessed the undergraduate tuition rate, and their enrollment status and financial aid eligibility are determined by undergraduate standards. Undergraduate-level progressive degree students maintain their eligibility for Federal Pell Grants, Federal SEOG Grants, Cal Grants, Direct Subsidized and Unsubsidized Loans, Direct Parent PLUS Loans and any applicable eligibility for USC Merit Scholarships or USC University Grants, as long as they are enrolled in courses that are required for, or that can be applied as an eligible elective credit toward, their undergraduate degree. The Registrar’s Office determines when a student has completed their undergraduate degree and manages the process of posting degrees to a student’s record. The Financial Aid Office relies on the Registrar’s determination of the applicability of a course to a degree program and the completion of the undergraduate degree. Once the undergraduate degree is conferred or the student has completed 144 units, a progressive degree student can no longer be considered an undergraduate for financial aid purposes. At that time, progressive degree students will be reclassified as graduate students. While classified as graduate students, they are assessed the graduate tuition rate, and their enrollment status and financial aid eligibility are determined by graduate standards. Graduate students are not eligible for federal, state or university need-based grants. Graduate-level progressive degree students are eligible to borrow Direct Unsubsidized Loans and Direct Graduate PLUS Loans, up to the maximum yearly amounts established for graduate students. Students who receive a research assistant or teaching assistant award before completing 144 units or their undergraduate degree are classified as graduate students and are not eligible to receive undergraduate financial aid. Transfer units and all units completed at USC, including both undergraduate- and graduate-level course work, will be counted toward the 144-unit limit. Transfer course work not being applied as either subject-specific requirements or free electives toward the bachelor’s degree may increase the 144-unit threshold which determines when a student transitions from undergraduate status to graduate status. If you have transferred in pre-matriculation units, including AP or IB units, you may submit a Progressive Degree Appeal to the Financial Aid Office. To submit a Progressive Degree Appeal, login to your FAST page through myUSC. Follow the link to the Document Library and select Unknown or Unlisted type of Financial Aid Document to upload your appeal. Include your name and USCID on all documents. 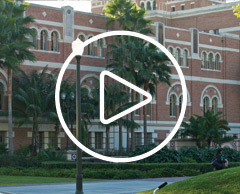 Learn more about the various types of financial aid, how to apply and how USC determines your financial aid eligibility.